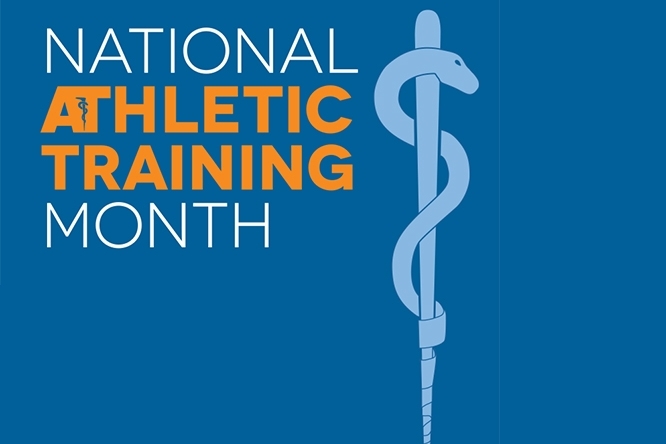 The month of March is National Athletic Trainers Month. Our previous two blogs have discussed the role of an athletic trainer in the allied health care profession and differences between the athletic trainer and a personal trainer. For this blog, I would like to address how the community can take an active role in promoting the profession of athletic training. Research shows utilization of an athletic trainer will prevent injury, reduce the cost of insurance premiums and health care services, and allow for comprehensive healthcare(1). If this is true, why have we waited so long to incorporate athletic trainers into not only schools, hospitals, and rehabilitation settings, but into the workplace as well? Evidence points to a lack of advocacy. Over the past ten years, research has provided the community with a wealth of knowledge showing the positive benefits to employing an athletic trainer. However, there is a lack of advocacy for the athletic trainer, which may contribute to the under-utilization of these skilled professionals in traditional and nontraditional settings. Advocating for the athletic trainer requires a multifactorial approach. As parents, legislators, and employers, we can work together to advocate and promote the profession to ensure the safety and well-being of our children and our partners. Who comprises the school’s sports medicine team? Is the equipment up-to-date and in working order, and have necessary certifications? Does the school have an AED and is it accessible? Are the locker rooms, gyms, and other surfaces cleaned on a regular basis? Are the coaches qualified and certified/trained in CPR/AED use? Secondly, we need to educate our legislators on how to better protect our community and discuss how legislation can radically improve the safety and well-being of our student athletes and the community. Work and high school athletics can contribute to negative outcomes such as injuries, concussion, dehydration, and heat stroke. As constituents, by better educating our legislators, we can help our selected representatives understand the importance of introducing athletic trainers into our communities and our schools. With education, we can improve funding for our schools to pay for athletic training services, as well as implement standards to protect our work force from injury and regulations for the community. Athletic trainers not only can play pivotal roles within secondary schools and institutions of high education, but also in the everyday work force. Injury prevention is low on most employers list of things to do, but thousands of workers are injured on the job every year. Work-related injuries have been shown to create lower employee morale, lost work days, higher insurance costs, and higher workers comp pay outs. Companies that employ an athletic trainer report a decrease in costs associated with workplace injuries by 50% (4). Athletic trainers offer a unique set of skills which include screening to identify pre-health risk concerns, rehabilitation, education, and fitness/wellness education. For every $1 dollar invested in preventative care, employers gain up to a $7 return on investment (5). When supported, athletic trainers provide comprehensive health care for schools, business, and community organizations. 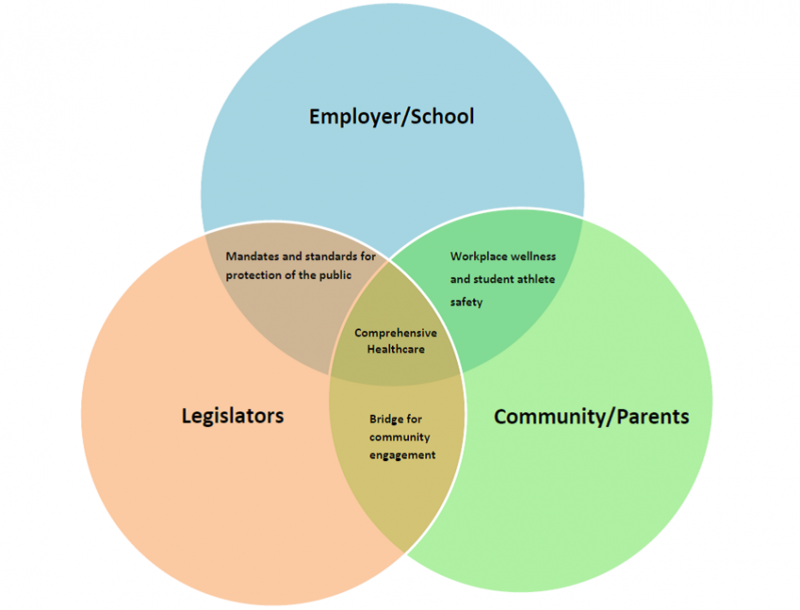 Consider taking on an active role as community members, parents, legislators, and employers to advocate for the profession of athletic training.